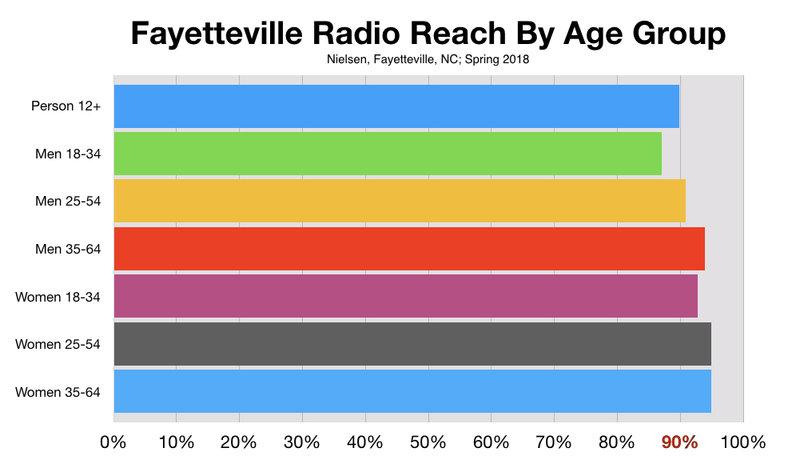 In fact, 92% of everyone in Fayetteville, on average, spends almost two hours per day listening to local radio. And no, that's not just Baby Boomers. It's millennials. It's Generation X. Generation Y. And it's Generation Z. It's everybody. 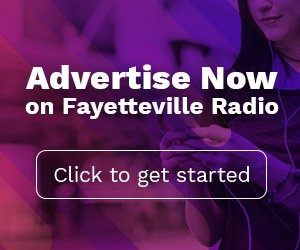 Radio's multi-demographic appeal is a major reason Deloitte, the world's most trusted business consulting firm, recommends that radio advertising "should be a big part of the mix for those buying advertising." 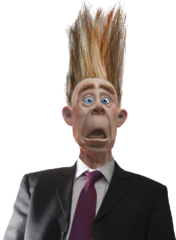 "One might think," says Deloitte, "since radio in North America is popularly perceived to be largely free and ad-supported, that it would appeal mainly to demographics that are of less interest to those who buy advertising. The exact opposite is true." 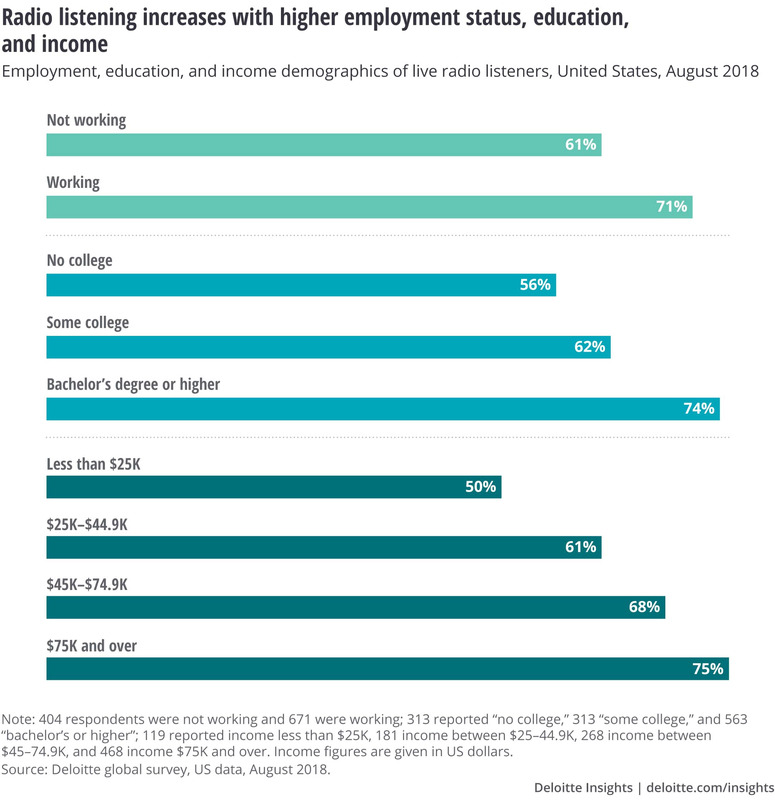 "An August 2018 Deloitte Global survey found that the percentage of Americans who report listening to live radio is higher for those who are working, those with more education, and those with higher incomes. Keep in mind, too, that, because radio listening in this survey was self-reported, the real numbers are likely 25 percentage points higher for older demographics and 40 percentage points higher for younger age groups." 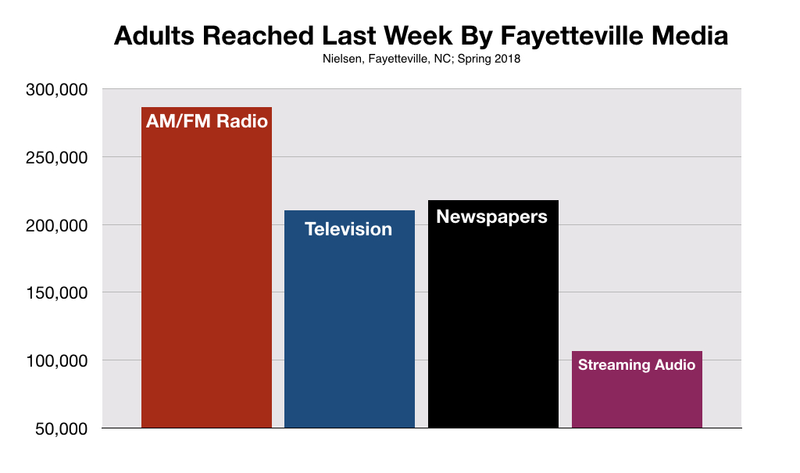 The "nobodies", then, who listen to Fayetteville radio represent only 8% of the entire population. So, how does this minuscule, non-listening population stack-up to the 92% of consumers who do tune-in each week? Based on information such as this, Mr. Schoen, who you met at the beginning of this article, recommends that radio is still a great way for all business owners to advertise. "As a marketing professional with over 35 years of experience," says Mr. Schoen, "I found this data nothing short of fascinating. It’s quite clear that we should all be paying more attention to radio, its reach and potential to help our businesses. It’s doing the job with expert efficiency."